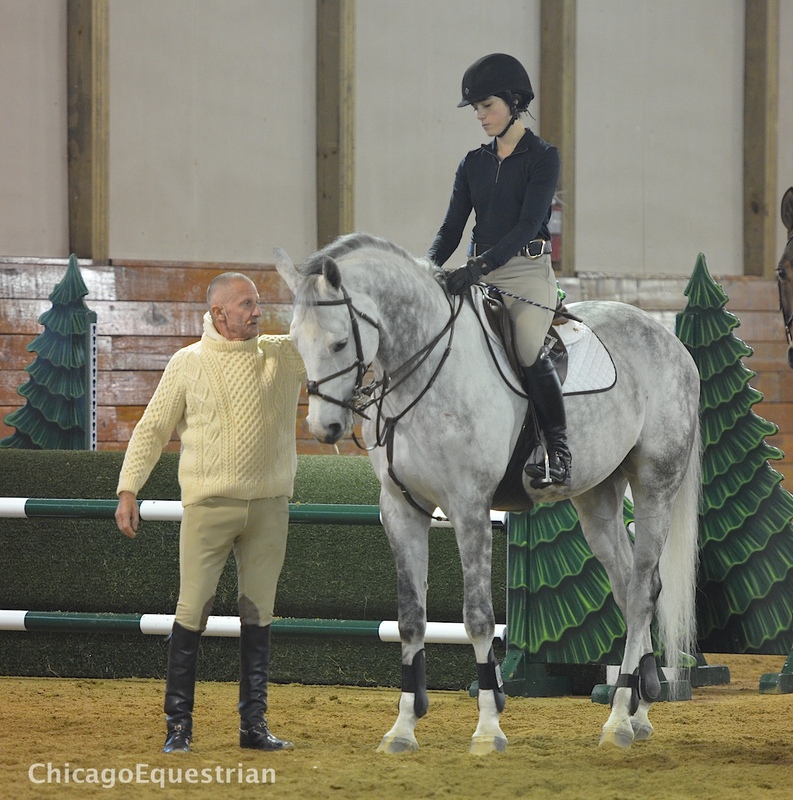 Antioch, IL – November 28, 2014 – The annual George H. Morris Thanksgiving weekend riding clinic got underway at Annali-Brookwood Farm in Antioch, IL. The coldest holiday weekend on record since 1978, did not stop Morris from turning up the heat on the 24 riders on day one of the three-day clinic. 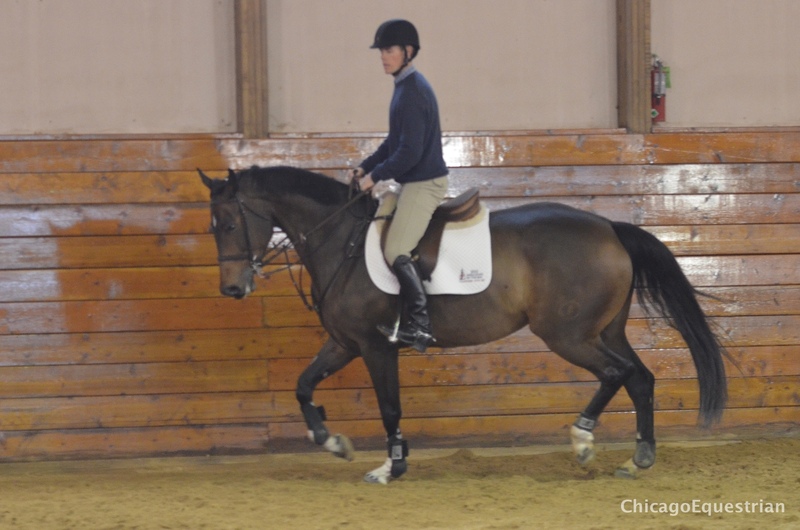 The clinic has brought classic riding principles and discipline to top riders and interested auditors in the Chicago area for over 30 years. 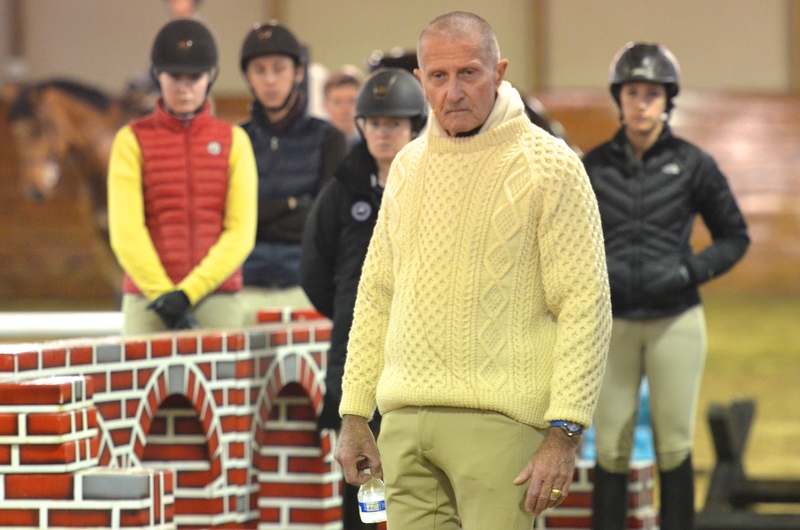 After retiring as Chef d'Equipe of the United States Show Jumping Team, Morris set his sights on developing the future of the sport by conducting clinics around the world. Focusing on helping riders develop correct form and function, Morris has often been referred to as the founding father of hunt seat equitation. Over the course of his career, Morris has been highly successful as a rider, coach, clinician, author and judge. Top riders from the Midwest travel to Chicago to participate in the clinic and sharpen their skills with Morris. Hunter Holloway, second place finisher in the 2014 ASPCA Maclay Medal finals along with her mother, Grand Prix rider Brandie Holloway, made the trip from Topeka, KS to ride with Morris. Hunter Holloway also made the list last June to ride in the George H. Morris Gladstone program. Other Gladstone Program riders participating in the Chicago clinic include Lindsey Lamb of Tulsa, OK, Caroline McLeese from Omaha, NE, Catie Hope of Barrington, IL, Alec Bozorgi of Chicago and alternate Katie Leverick of Hawthorn Woods, IL. 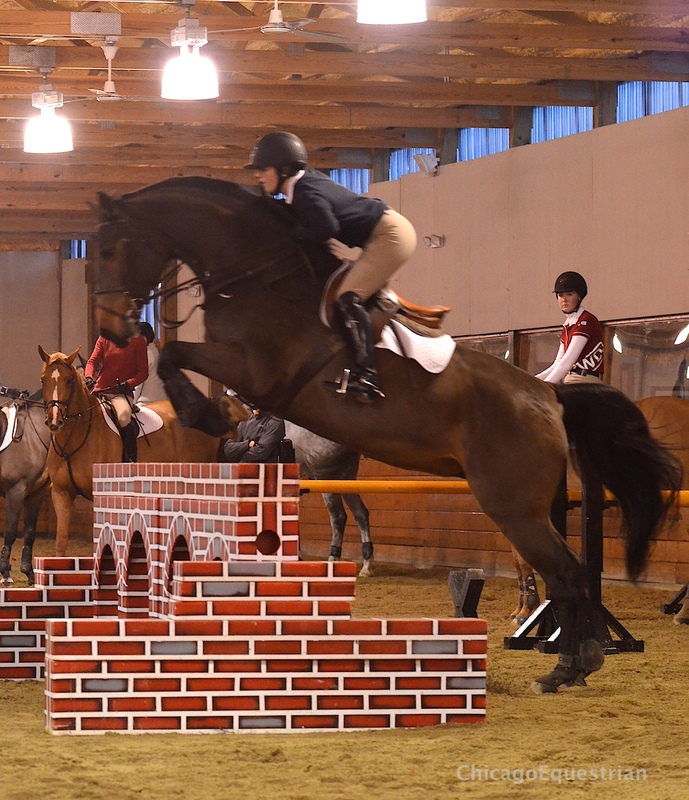 These riders all compete at the Grand Prix level, yet take the time to refine the basics under Morris’s expert eyes. Riders Hunter Holloway, Ryan Sassmannshausen, Catie Hope and Katie Leverick listen intently to Morris. Local junior riders who have had successful junior careers such as Catie Hope and Amelia McArdle, have ridden in Morris’s clinic for many years as juniors and amateurs and continue to learn from Morris as their careers head to the Grand Prixs. Catie Hope and Victoria EH tackle the blind turn to the wall. Riders with these accomplishments are successful because of their drive to always be better, one of Morris’s philosophies as well. Riders with this kind of talent don’t rest on their laurels; they continue to show up for learning opportunities such as this clinic. Canadian Noel Clark demonstrates for Morris. Noel Clark of Calgary, Canada, is also taking advantage of a special learning opportunity with Morris. Clark will be accompanying Morris on his clinic tour this winter to observe, learn and ride with Morris. Clark met Morris while giving him a leg up at an event in Canada and accepted Morris invitation to join the clinic tour. Clark has eventing and show jumping horses at his family’s Two Jack’s Farm in Canada. Young professional, Lindsay Yinger of Columbus, OH, was awarded a grant from USHJA Zone 5 to ride in the clinic and experience Morris’s teaching. To offer more opportunity, The Illinois Hunter Jumper Association held a raffle at their year-end banquet, which awarded two auditors a chance to watch and learn from Morris during the weekend clinic. Clinic coordinator Diane Carney generates support for the clinic from area barns and businesses. Sponsors this year include Brookwood Farm, Telluride Farm, Devoucoux, Tudor Oaks Farm, Taylor Harris Insurance and Peggy McEnroe, USHJA Zone 5, Chicago Equestrian, Swan Studios and Stall Watch. Annali-Brookwood Farm and Rush and Caroline Weeden, are no strangers to hosting top-notch events including the Chicago Hunter Derby presented by Canadian Pacific and the George H. Morris Gladstone Program. The facility is perfect for both indoor and outdoor high-end events and the Weedens attend to every detail. The clinic continues through the weekend with sessions beginning at 9:00 am daily. Auditors are welcome and Devoucoux is available to show you their line of saddles and answer your saddle related questions. 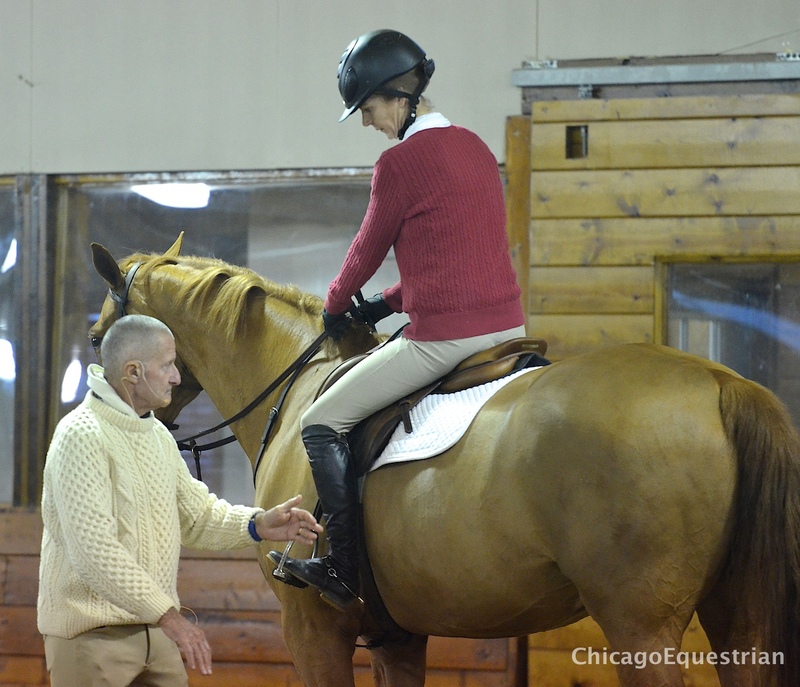 For more information on the George H. Morris Chicago clinic, contact Diane Carney at dtelluride@aol.com. 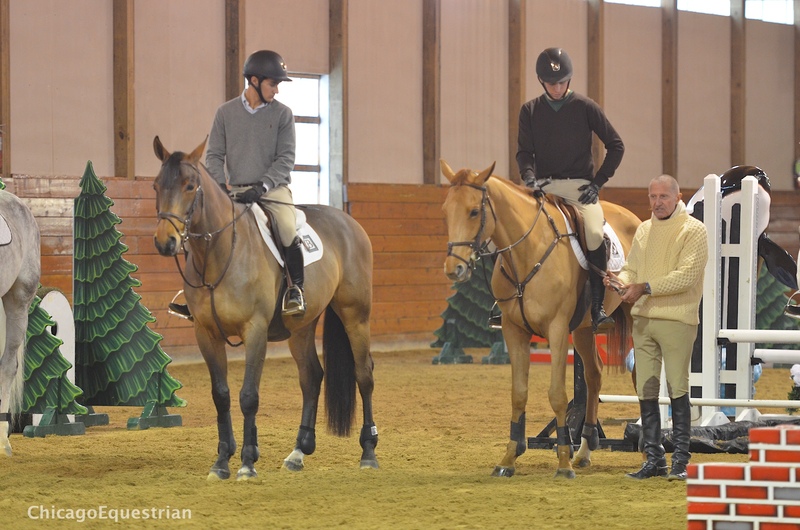 For a schedule of George Morris Clinics, visit www.ghmclinics.com. Alec Bozorgi and Ryan Sassmannshausen listen to Morris talk about stirrups.